Hi Nikita, hi Ksenia! It’s a real pleasure to talk to you. To start, please tell us about the origin of the band. N: Hello! We had an idea of making a group in 2007, when Ksenya and I we playing in “Nevid”. We left this band and started to search musicians for our new project. At first, we planned to play folk-metal, as we didn’t like black metal sound in Nevid. We wanted to play something close to classic heavy-metal. We found musicians. There was Smel from Russian pagan-metal band “Rarog”and my friend from Russian folk orchestra Olen who became an accordion player. Vasily Konukhov was invited as drums player. He had played trash-metal before. At the moment only Ksenya and I are musicians from original band. It’s quite surprising that, being a band that plays traditional music from your region, your name comes from a Finnish mythological poem. Why Kalevala? K: Many our song have been founded on Finno-Ugric legends.For example “Goy, Olen” is a mary myth and “ When the Sun starts out” (1st album, «Там где солнце отправляется в путь») is an ancient Lappish novel. It is dear to me as I belong to this ethnic group for a half. As far as I could notice, Muscovite bands usually “exchange” members as guests, or musicians have several bands at the same time. Is my perception right? What can you say about this? N: Our music scene is tight, especially in folk-metal circles: everybody knows everyone. At First in Kalevala many musicians played in another groups.Now we play only in kalevala and nowhere else. The main reason is that we are so busy that if we want we will not be able to do this. What other bands have you played in? And the other members? Any eventual collaborations? N: Our musicians at various times played in many bands, for example I played in Nevid (pagan metal) and Lethal Guest (thrash death metal), Ksenya played in Nevid and Butterfly Temple (pagan metal), our musicians also played in such bands as Rarog, Ruger, Rossomahaar, Rule24, Reborn in Chaos, we have worked with drummer Vlad Sokolov (Arkona) and Andrey Ischenko (Catharsis, Hyeronimus Bosch), and Vladimir Reshetnikov (Arkona) often helps us with recording bagpipes and tin whistle, while our accordion player was helping to record songs on Arkona’s last 2 albums, we deal with them well. Ksenia, I saw you in an Arkona DVD, any chance of singing with Masha in studio? K: Now we have no plans for joint record. Is there a chance that you will sing with Butterfly Temple again in some future album? What’s your relationship with them? Why did Shmel and Olen leave the band? N: Shmel decided to concentrate on his own group Rarog, in which he more fully realizes as a composer, while in Kalevala he almost didn’t take part in writing music. Olen left the band because of the basic work in public service, he has no opportunity to go with us on tour. But did not refuse to work with us in studio, he has recorded his part to new single Son-Reka (Dream-River), which will be released soon, along with our first video for this song. I see you already found a new bassist, Ivan Andrianov – how does he integrate with the band? Did you know him before? Tell us something about him. N: No, we haven’t known him before. He wrote us himself, when we were searching for new bass player. 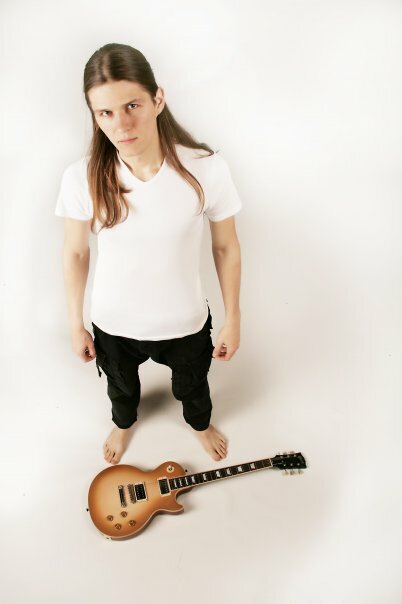 He is professional musician with higher music education. He also played balalaika, which we will use in our new songs. Who is currently helping you out with accordion duties? N: Main accordion parts I’ve wrote myself and Olen has completed them our in some songs I asked him to play to play from music. Some parts he did himself.But sometimes in studio we completed them together. On the performances we play with laptop, while we are searching for a new member. Being a Galician myself, it feels a bit weird to me to hear Galician bagpipes together with strongly Russian (or at least Slavic) music – a bit like “so close yet so distant”. It’s actually an instrument I’ve heard in other Russian bands too. Is there a special fascination about this instrument in Russian folk circles, or is it a coincidence? Do you like this instrument specially? 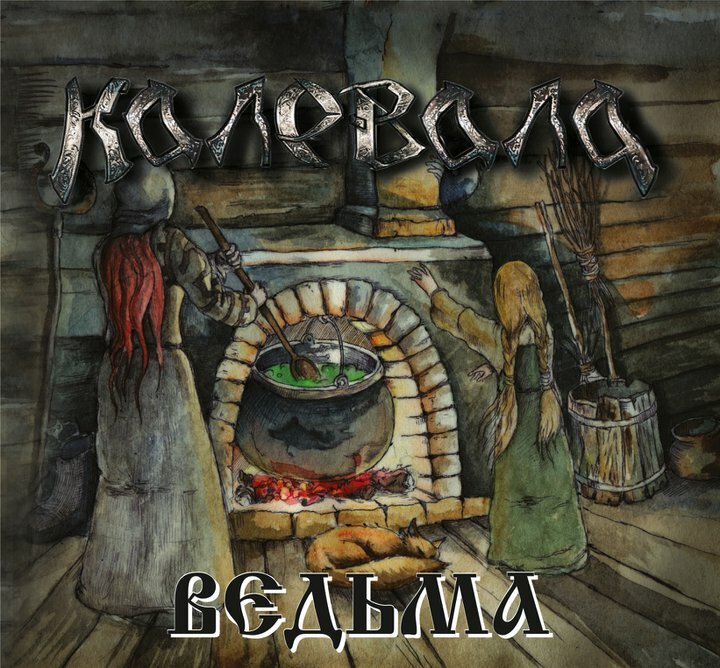 N: It is not a coincidence, as we were searching for sound that we need, Vladimir Reshetnikov from Arkona helped us recording folk instruments for album Vedma (” Witch”), he played in 5 tracks on the tin whistle and Galician bagpipes, I think that the sound of these instruments more suited to these songs. What folk instruments do you use, besides bagpipe? N: On different albums there are different instruments. On the first album Kudel Belosnezhnogo Lna (“tow of Snow-White Flax”, we used a flute, a block-flute in addition to the accordion. A well-known musician Oleg Sakmarov (ex-Nautilus Pompilius, the ex-Aquarium) helped us with them. There was no Bagpipes on the first album We. Also used balalaika. On the Cuckoo’s Children was less folk instruments as we did it without the guests. bagpipe, tin whistle, block flute, balalaika have appeared on Witch,. You can also hear uslyt harp performed by Smel. And we use and keyboard if it is necessary. What’s the instrument in the beginning of “Tausen-Rada”? I can’t identify it! N: This sound I found on my keyboard, I think in some other way we will use it. What was the studio session like in comparison to the previous? Tell us something about the recordings. N: Working on “Witch” was distinguished by the fact that we were recording everything on varioust studios (7 at all! ), But most of the work I was doing at my new studio, which just opened at the beginning of the recording of “witch” in August 2010. Therefore, we managed to save on , I think we will follow this scheme next time. A great number studios due to the fact that we’ve already known what instrument is better and cheaper to record on a particular studio! K: I want to admit that the result , in my opinion, has not cost all mess that we had with studios. I’m disappointed of the final sound of the CD. N: Our musical tastes are very different, this is classic Hard-rock and heavy metal, thrash metal., it is also folk-pagan groups (we follow our colleagues). Just a great influence on us has Russian folk music and Russian rock. Melodies and ideas of songs come in variety unexpected places, I can not say what it affects. Probably one of the factors is free time for writing music, as sometimes working in studio, concerts, recordings take up so much time and I don’t think about songs. Although recently I’ve begun to carry a laptop for this purpose, so I can immediately write down ideas. K: And I need silence for writing. And solitude. Complete isolation from people. Can you recommend us some Slavic folk bands? Not metal, just folk. N: The most popular group in Russia is Melnitsa ( http://melnitsa.net ), I do not know If they are famous abroad. What about the lyrics? What do they talk about? Немного о текстах. О чем они? K: My lyrics are always mostly personal. At the heart of “Witch” – a look of adult person, experienced person, like a “summing up”. Attitude to motherhood, family, loss and acquisition, I’m trying to find the answer to the question – was all right?. Just like a snake discards the old skin, from album to album I put the point in my biography, physical and spiritual. How is usually the writing process, both music and lyrics-wise? N: Mostly, I write a demo with full arrangement except vocals, and Ksenya thinks what she can sing on it. Your debut album is still easy to find. Why did you decide to re-release it so soon? N: Our label offered us to do this. To make a Digibook. Apparently he is still buying, but it was published only in normal jewel case version. As a bonus, it will be two new songs from the single “Dream -River”, which has been recently recorded and at the moment Jacob Hansen from Denmark is finishing his mixing.We also made video for “Dream River” – this is our first professional video, We hope you enjoy it. You’ve been doing one album per year since the beginning. Is the fourth one in the works already? N: We have already completed our work on single and we’ve just started making new songs, I think we will not release them if we have no time. We want to knuckle down to record and mixing, spend more money for getting a world-class product. Would you do an acoustic album? N: Yes, we have this plan, it goes without saying we will make it , we have some material and even has a name – “Sami Sun”(Lappish Sun). This is our long-cherished dream , but we don’t have enough time with concerts and working on new material for a full album. And a live DVD? Your appearance in that Månegarm one is very short! N: We’d love to make a DVD, but to do it qualitatively, we need much money, more than for the album, unfortunately at the moment it is not payback. Labels do not give us money for it. What cover versions do you have? I know at least about an Ukrainian song and one by Borodin. N: No, We haven’t recorded more covers. But sometimes we’ve played some folk themes for ourselves. I’m intrigued about the smile 🙂 in Ladushka, what does it mean? What does Ladushka mean anyway? Have you toured abroad, and/or are you interested in that? N: We had not a chance to perform abroad, we limit ourselves by concerts in Russia and CIS (Commonwealth of Independent States). But we plan to perform in Europe, currently we are looking for promoters, who will be interested in this, as the public has interest. And our records sell well not only in Russia. Are there any funny anecdotes from studio or tours that you’d like to tell? K: Oh… You see that funny situations are generally happened only in the wildest intoxication ))))) no one remembers about them in the morning)))))) During the tour, the most important thing is to not miss our train)))) and do not quarrel with the police) )))) and it was a story when we were almost taken away by police in front of the train …. In a strange city …. But during the recording we are serious people and funny things are happened only during the celebration of the end of recording). Indeed..
K: Thanks for interview!)))) Maybe you’ll add a question about our attitude to the forthcoming apocalypse in 2012? … I will say that no one knows what will happen tomorrow, so I wish to all rockers of all countries- unite! Unite, love and take care of each other, because there are so few good things on earth besides love and rock music!